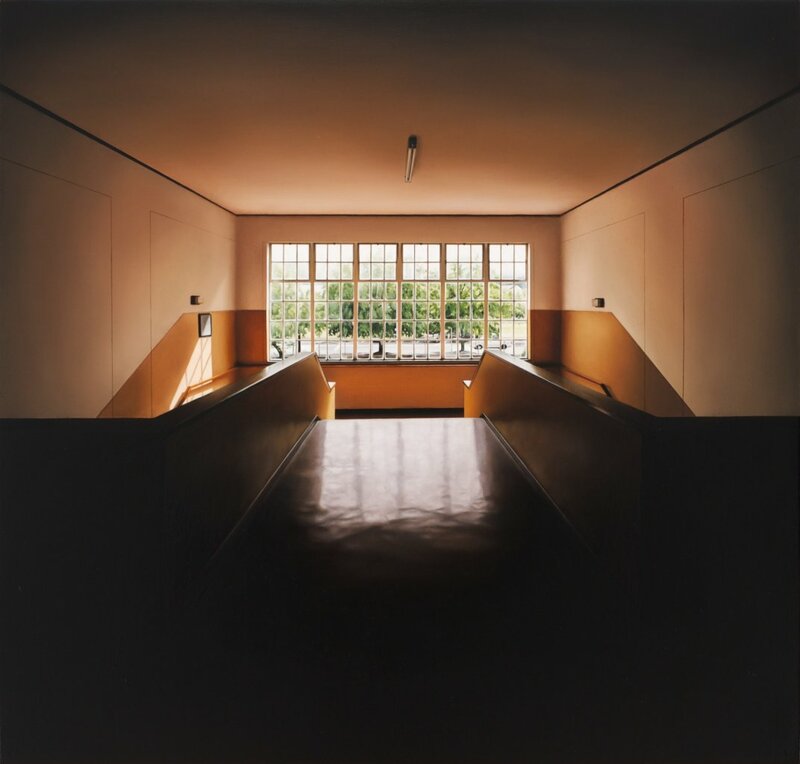 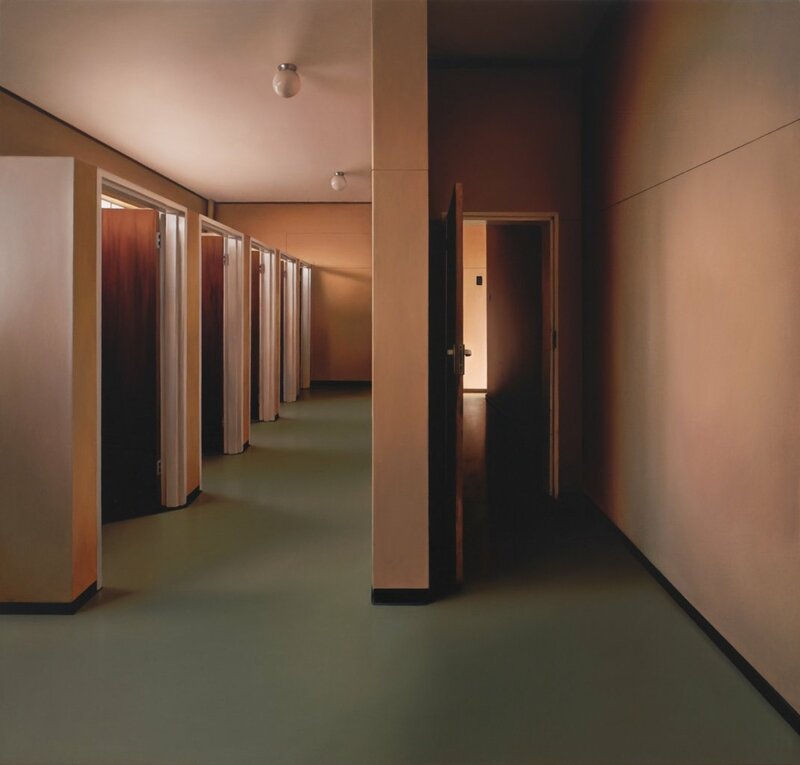 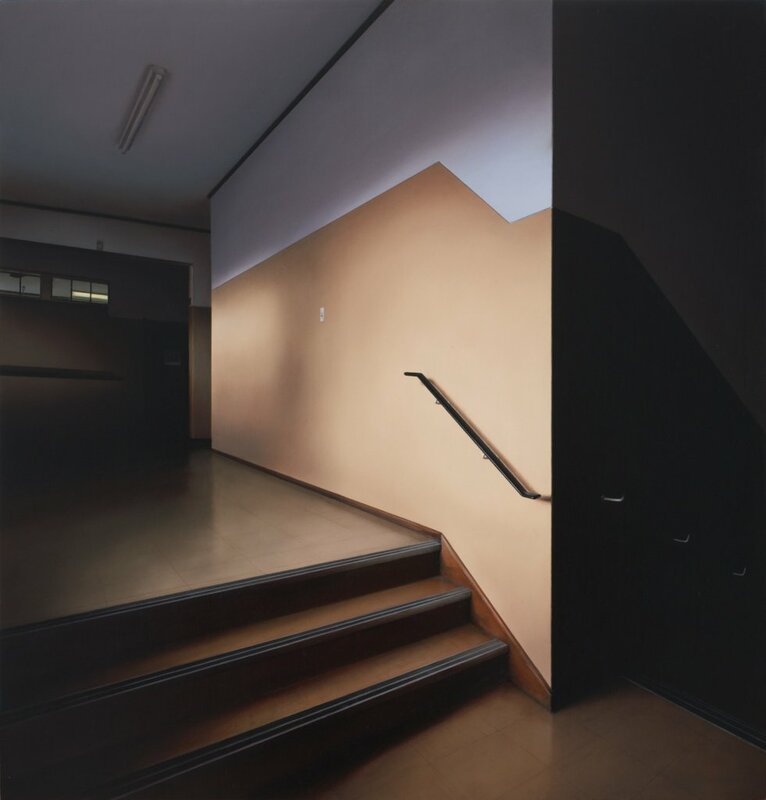 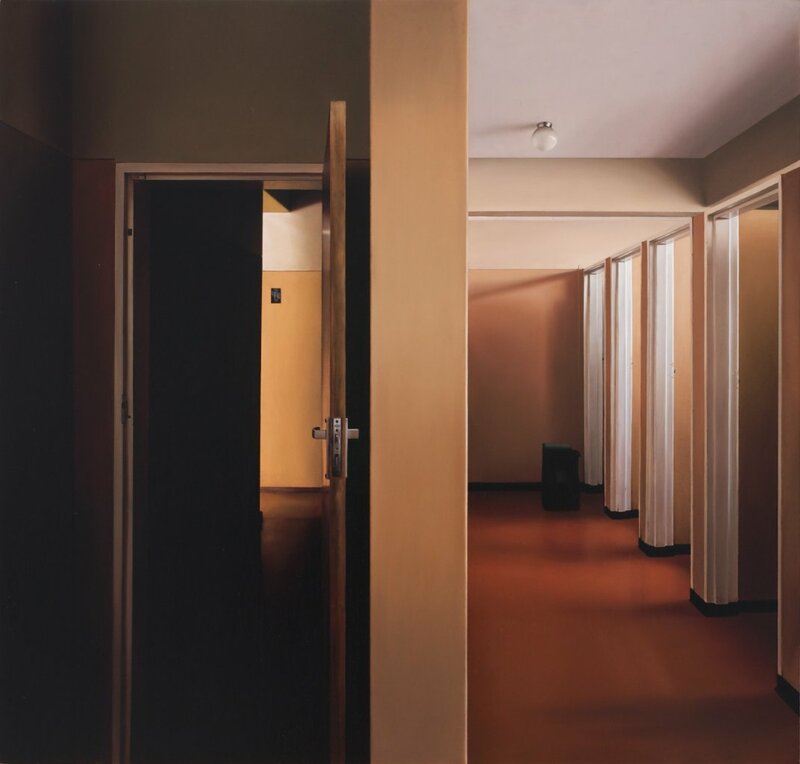 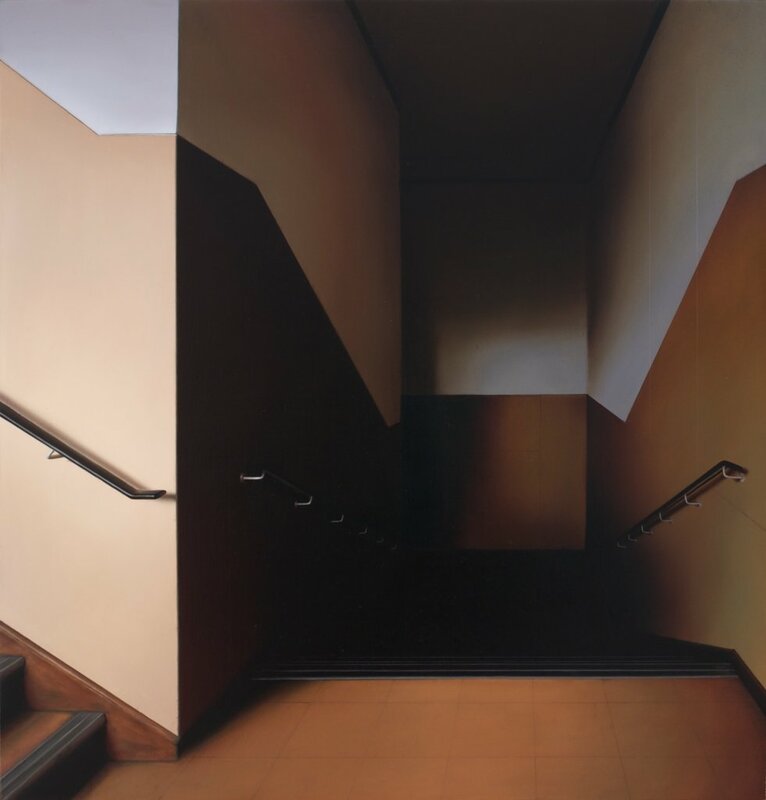 In Order & Division, Heyer explores the empty corridors and bathrooms of a school building by meticulously rendering them in oil paint. 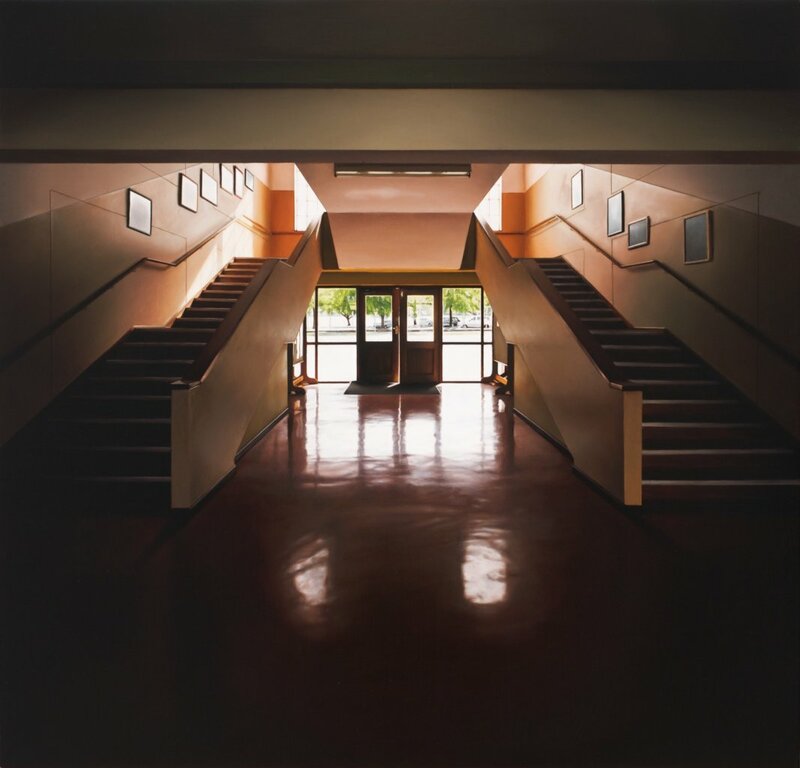 Shaped by human action, these buildings in turn shape those who move through them. 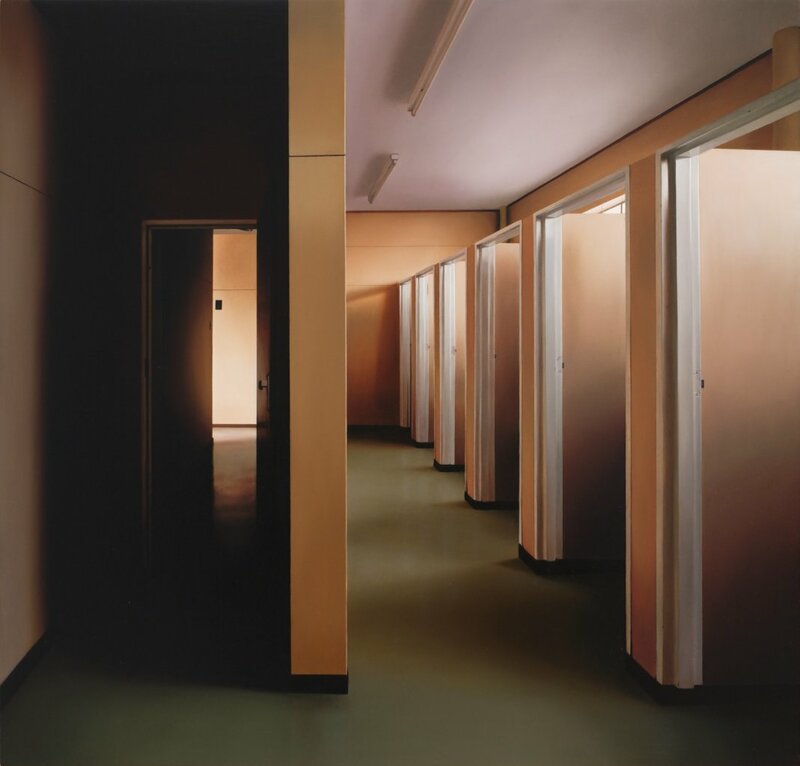 Spaces appear as mute holding cells where an individual confronts his or her own anonymity among the masses. 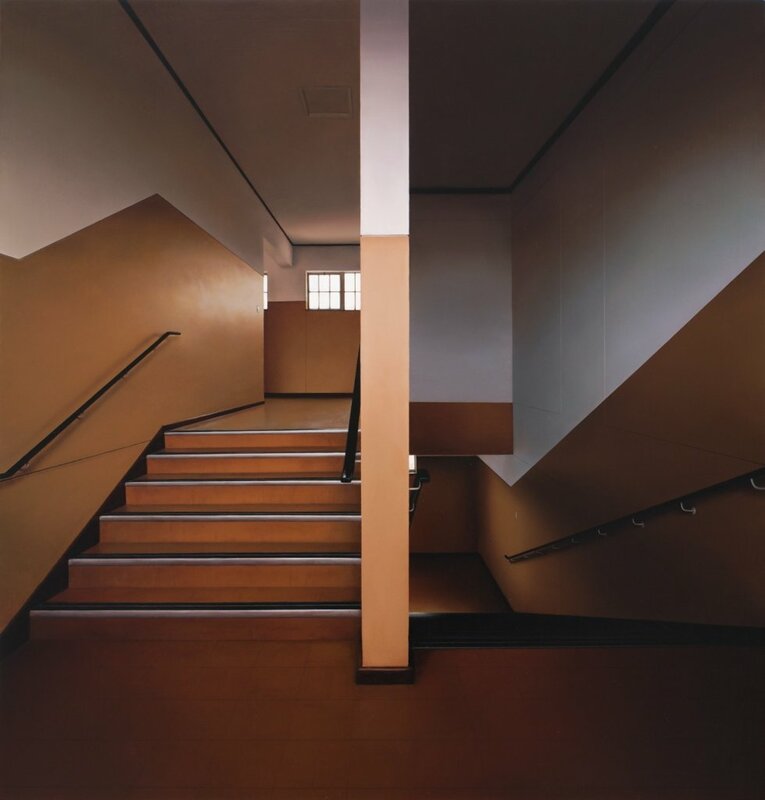 Ordered, divided and disciplined, there is safety in the grid, in the architecturally and ideologically defined parameters of the public institution. 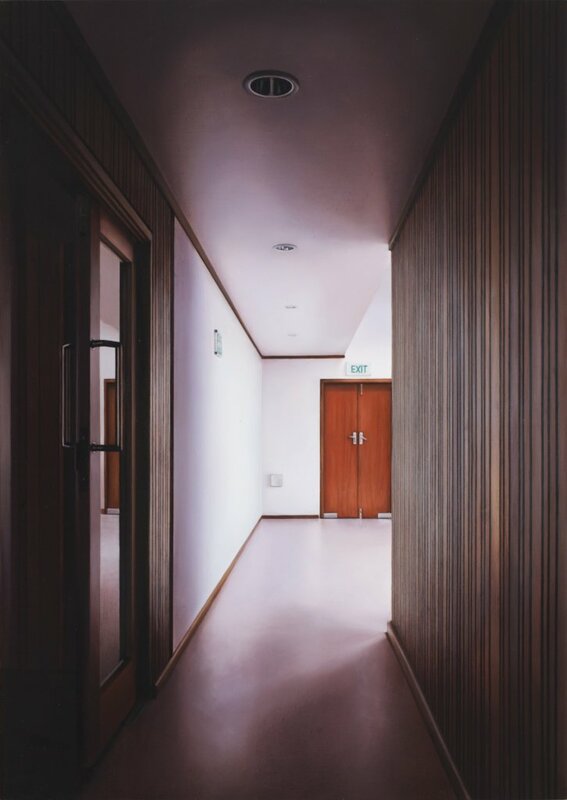 A silent drama plays out as linoleum, porcelain and painted walls reflect electric lights and diffused sunlight. 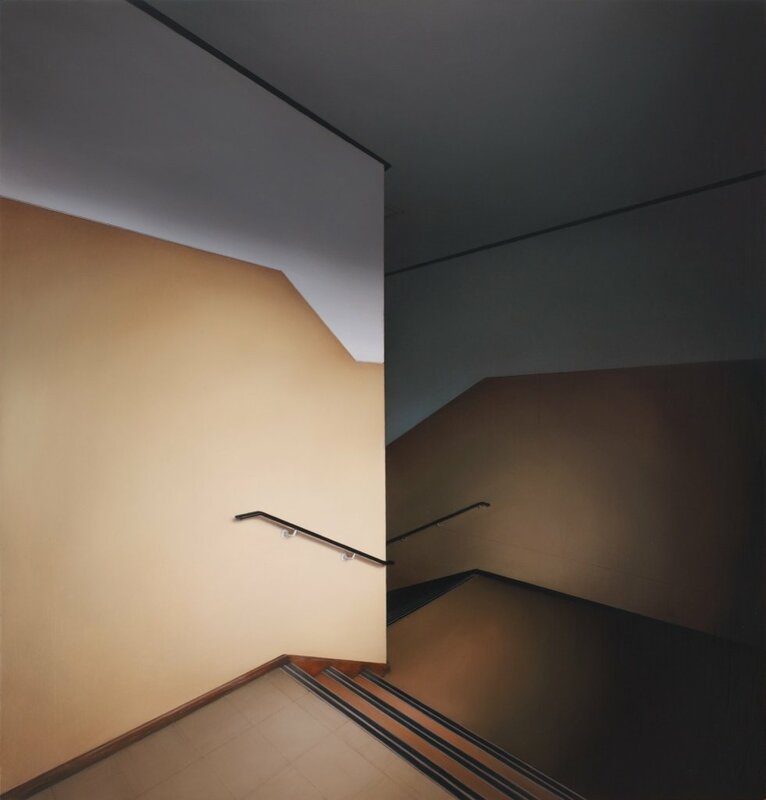 Surfaces seductively draw the viewer in but at the same time the cold, hard and repetitive façades seem to stifle and alienate, reinforcing the sense of absent individuality. 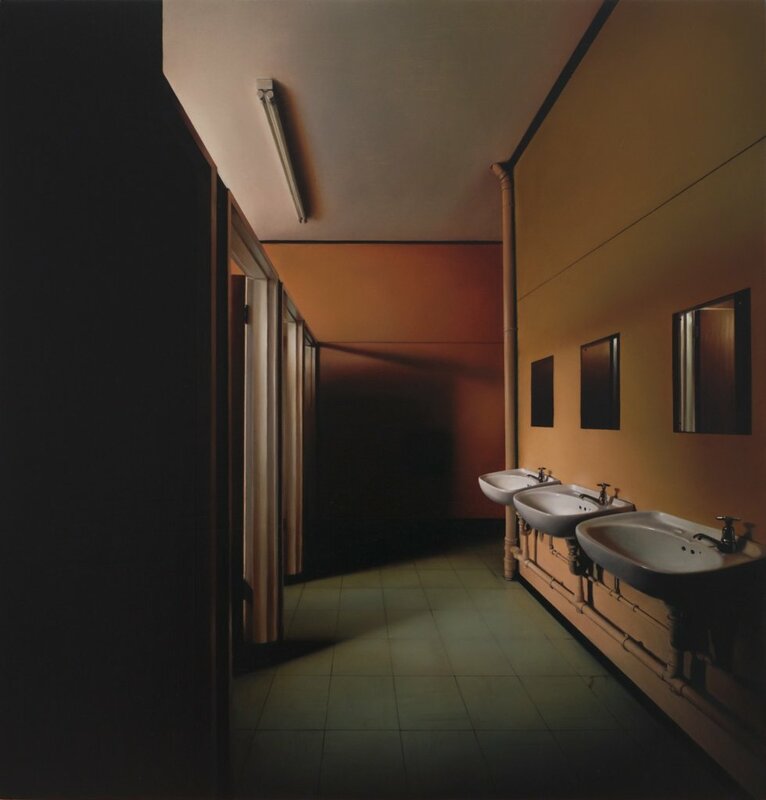 An uncomfortable silence is amplified in these still and empty spaces. 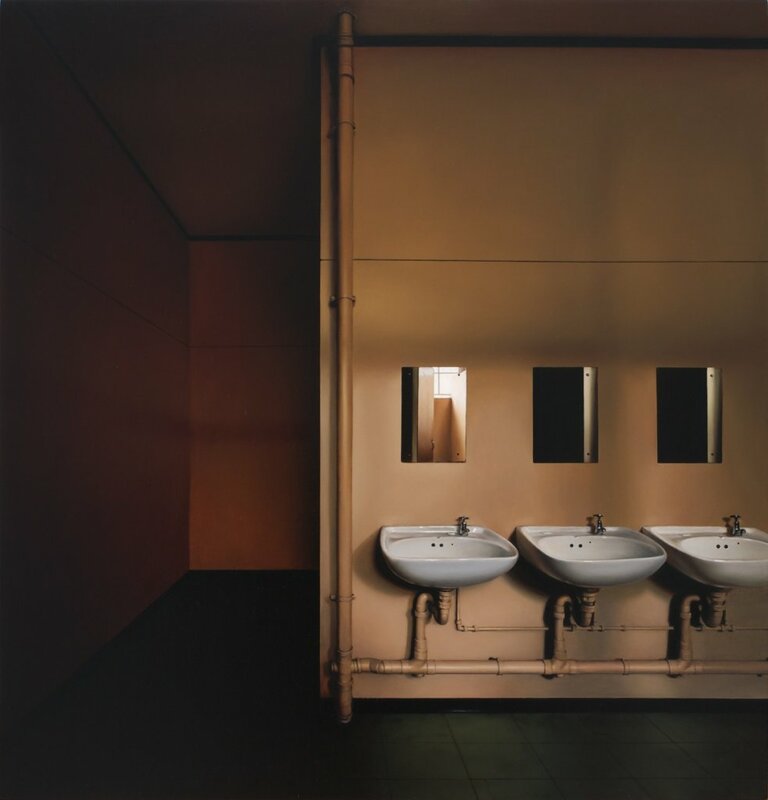 There is both the urge to stay, to be seen and to escape as windows offer the promise of a world outside the dark solitary refuge. 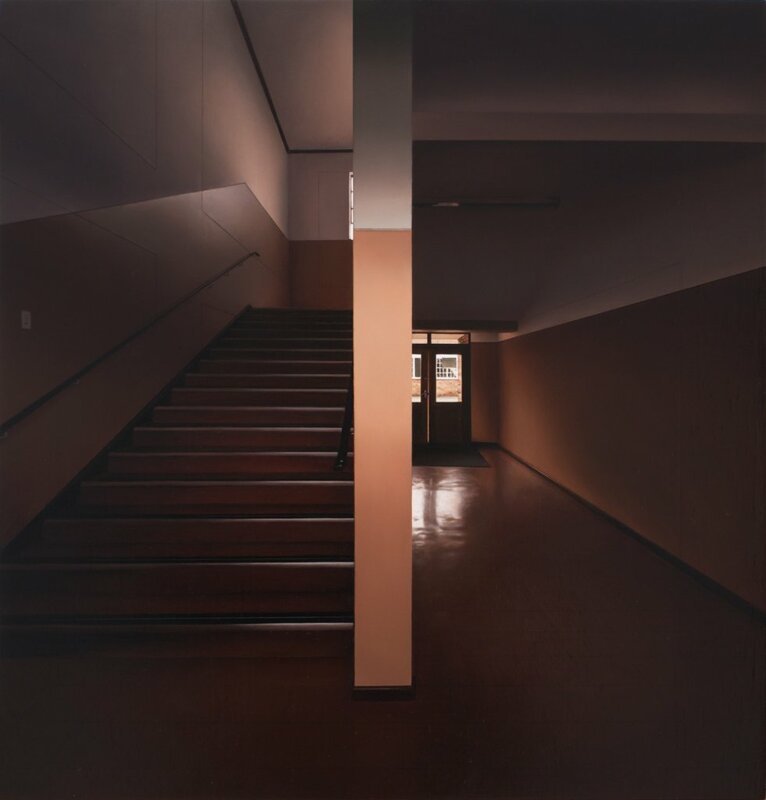 Heyer graduated with a Master of Fine Arts from Stellenbosch University in 2011. 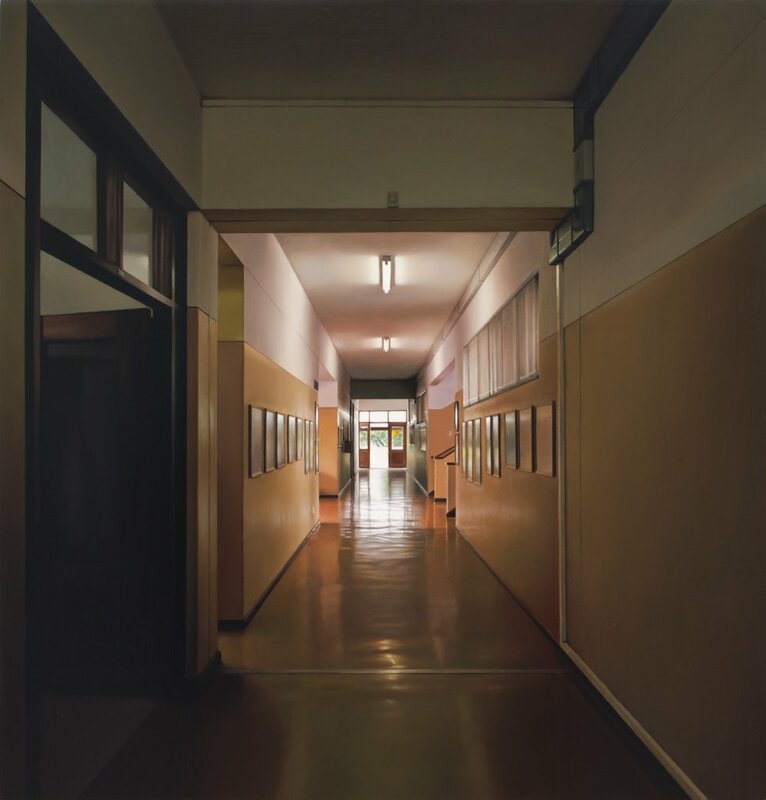 She is currently lecturing drawing at the Visual Arts Department, Stellenbosch University. 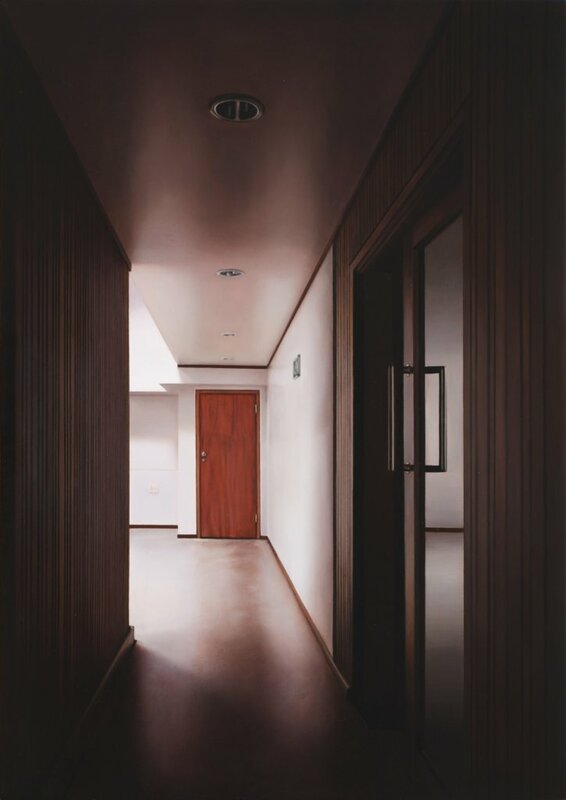 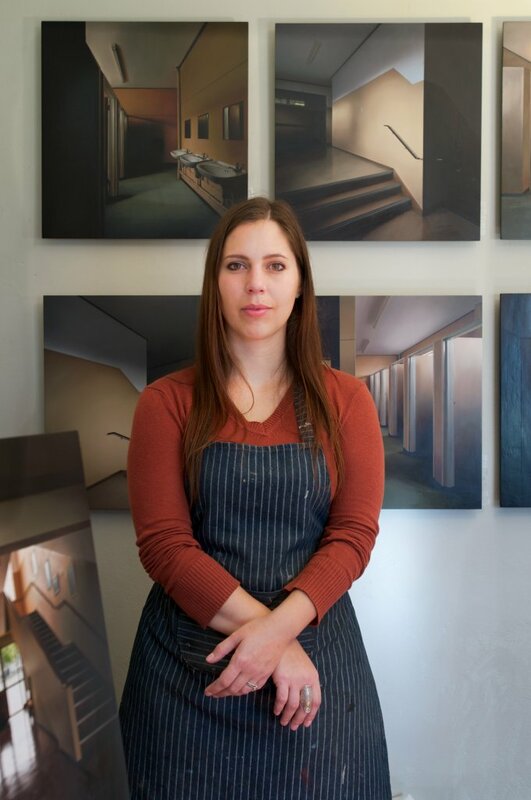 Her most recent solo exhibition at Art Gallery (now Brundyn + Gonsalves) entitled Threshold was concerned with subtle metaphysical and uncanny aspects of seemingly ordinary and unoccupied interiors.